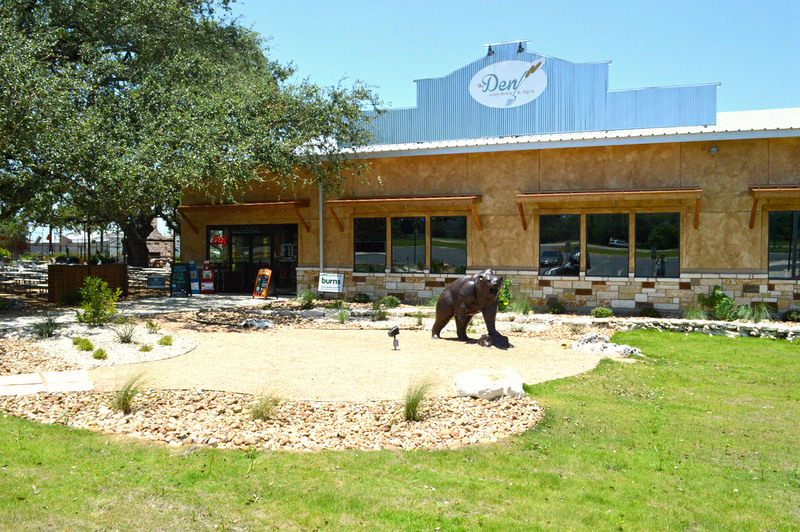 The Den, a top rated La Vernia Restaurant, opened in January 2016. Cradled by rolling hills, The Den features a newly constructed building, a 7000 square foot AstroTurf outdoor seating area, patio, bandstand, and children’s play area. Focusing on good eats with friends and family, The Den is centered around a massive oak that overlooks the patio. On the patio or inside the restaurant itself, patrons can enjoy classic American food lovingly crafted by our master chefs while listening to local bands perform. Of particular pride are our breakfast omelettes, huge burgers, tender chicken fried steak, awesome salads, and fresh seafood! On the patio or inside the restaurant itself, patrons can enjoy classic American food lovingly crafted by our master chefs. The Den features a newly constructed building, a 7000 square foot AstroTurf outdoor seating area, patio, bandstand, and children’s play area. Listen to live music while sip on your cold drinks from our outdoor bar and prop your feet up around a fire. Always a great family environment, love to see all having a good old time. – Raul Ortiz Jr.
For more info email catering@thedenlavernia.com!